Car shopping in the Scottsdale area? Look no further than the new vehicle inventory at Land Rover North Scottsdale. We have a wide variety of models in stock, from the popular Land Rover Land Rover Discovery to the fan favorite Range Rover Velar. When you’re ready to take your Paradise Valley commute to the next level, stop by Land Rover North Scottsdale to pursue the Land Rover models for sale in Phoenix, AZ! 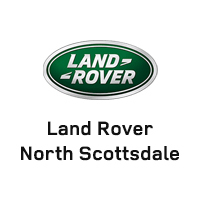 Why Choose a New Land Rover from Land Rover North Scottsdale?